· ST-A/PI "Service Tools for Applications Plug-In"
These functions are delivered via ABAP reports within naming convention like: /SSA/*. The functions are available via tcode ST13 where particular Tool name (function name e.g. BW-TOOLS, BWATOOLS, BPSTOOLS, BIIPTOOLS, etc.) needs to be selected and then sub function related to what was selected can run. I wrote detailed post about BW related functions (BW-TOOLS) here. What may happen in particular NetWeaver ABAP based systems is that that certain function is not available to be chosen in ST13. Simple the function is not there in the function list. Reason of why it is not there might be that it source ABAP code got commented out by some SAP Notes implementation. Uncommenting can be done under certain circumstances in following way. What it does is checking SAP Notes implementation prerequisites of the commented coding and automatically does uncomment of the coding. The certain prerequisite is that relevant support package level in the ABAP system is high enough. 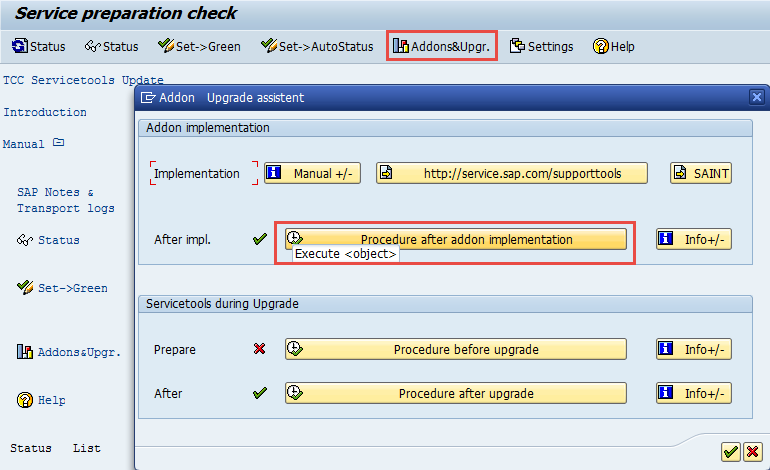 However, if there already was an SAP note for the affected coding implemented before the 'procedures after add-on implementation' were executed; the coding can no longer be automatically uncommented. 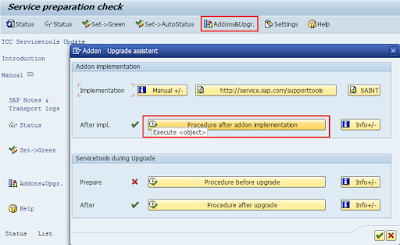 Other option is to use ABAP report /SSF/SAO_UTILS to uncomment. However it is the most likely the same report which is used by tool name RTCCTOOL as described above. So in case it didn’t work for you via RTCCTOOL this report won’t either. However there is a 3rd option. You may want to copy source of any commented out /SSA/* report. You can copy this to Z* namespace and try to uncomment it manually. The tool name/function won’t be visible in ST13 but you can run it manually in tcode SE38. What systems are connected to my BW?